Frontline Club founder Vaughan Smith chats with Ben De Pear of Channel, 4, Marcus Mabry of The New York Times, freelancer Emma Beals, and AFP's David Williams. Frontline Club founder Vaughan Smith chats with Ben De Pear of Channel, 4, Marcus Mabry of The New York Times, freelancer Emma Beals, and AFP’s David Williams. As many major news organisations close foreign bureaus, freelancers are called on more and more to cover global conflicts. They face risks often without the structure, training and resources that come with having a large media outlet behind you. 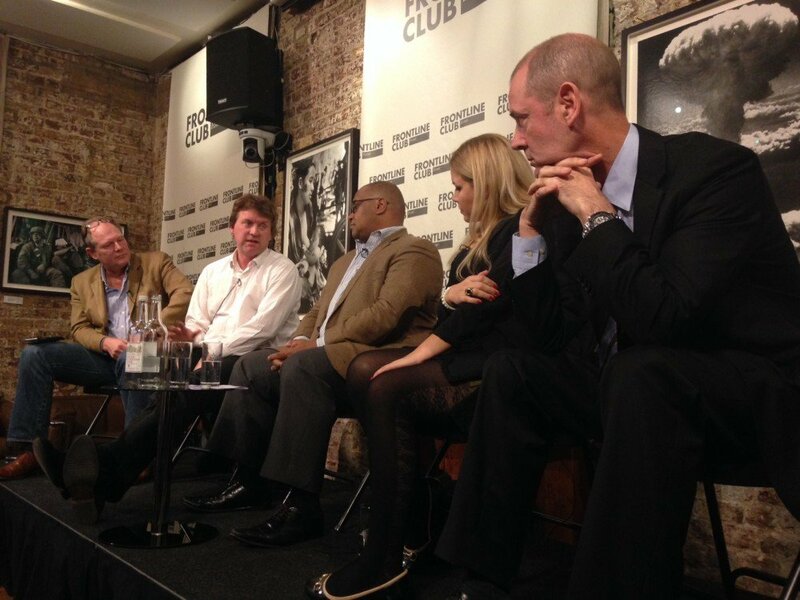 Continuing a conversation that began at the end of October in New York at the Overseas Press Club of America (OPC), Vaughan Smith, founder of the Frontline Club, spoke with leading editors at the club in London on Tuesday 18 November. They discussed the importance of pay to reflect risk, training, and new ways of determining how much responsibility for freelancers news outlets should take on. Joining Smith were David Williams, deputy global news editor at Agence France-Presse (AFP); Marcus Mabry, editor at large for The New York Times and president of the Overseas Press Club of America (OPC); Ben De Pear, editor of Channel 4 News; and Emma Beals, a multimedia independent journalist covering Syria and Iraq and member of the board at the Frontline Freelance Register (FFR). How freelancers are folded in to media organisations vary from outlet to outlet, so what should best practice look like? “There’s an inverse relationship between the amount of control and the amount of responsibility they should take on for that person,” Beals said of the freelancer–editor relationship. Marginal wages for a story from a conflict zone don’t allow freelancers to invest in much needed training and equipment, argued Beals and many from the audience. “You have to pay them more than $300 for 1,000 words in Syria,” she said. “It’s a professional work force with unprofessionalised wages. The pay is about safety,” Beals added, noting a recent story had her covering her expenses, which were twice the rate she was getting paid, up front with a promise of reimbursement months later.